Patent pending technology puts Military Grade AES256 bit encryption at your fingertips. 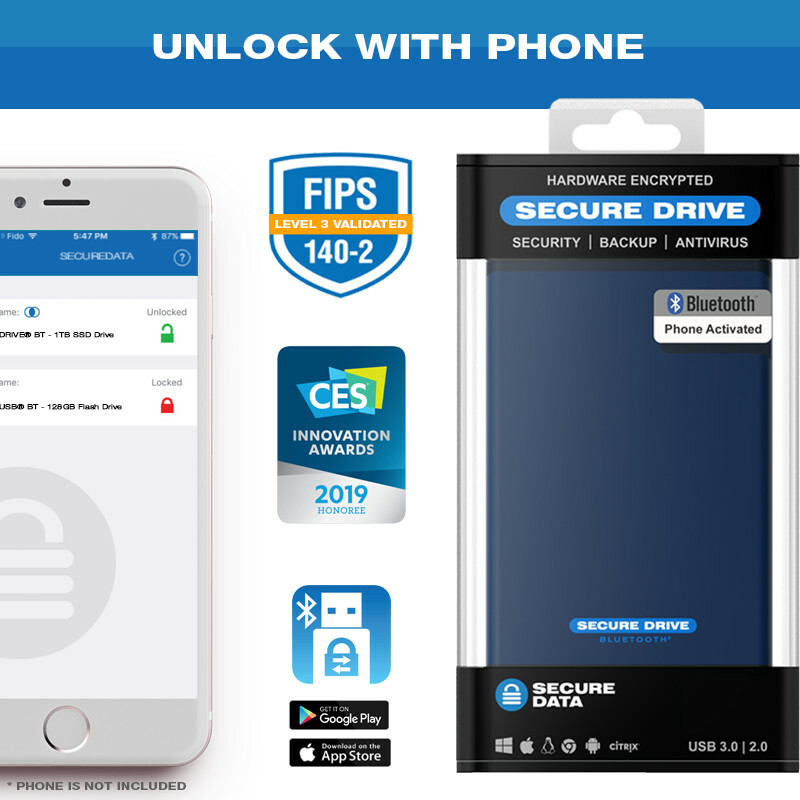 The only hardware encrypted drive with User authentication via DataLock® app on any smartphone, tablet, wearable or similar mobile device (available for download at the app store Apple/Android). 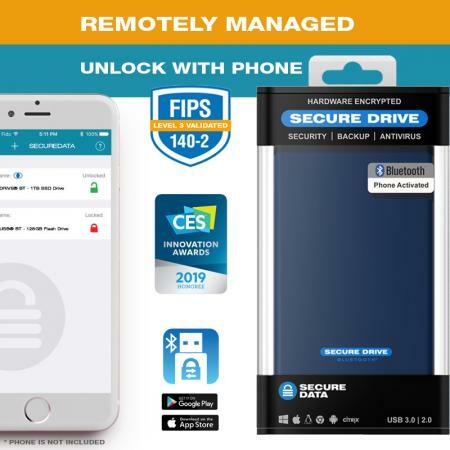 In addition to a completely OS and software free design to encrypt the data at rest the SECUREDRIVE BT also allows for the easiest user experience to unlock the drive with a user created 7-15 digit alpha numeric pin or Apple Touch ID / Face recognition. All User data, PINs, Crypto Parameters and Encryption Keys are always encrypted while at rest. 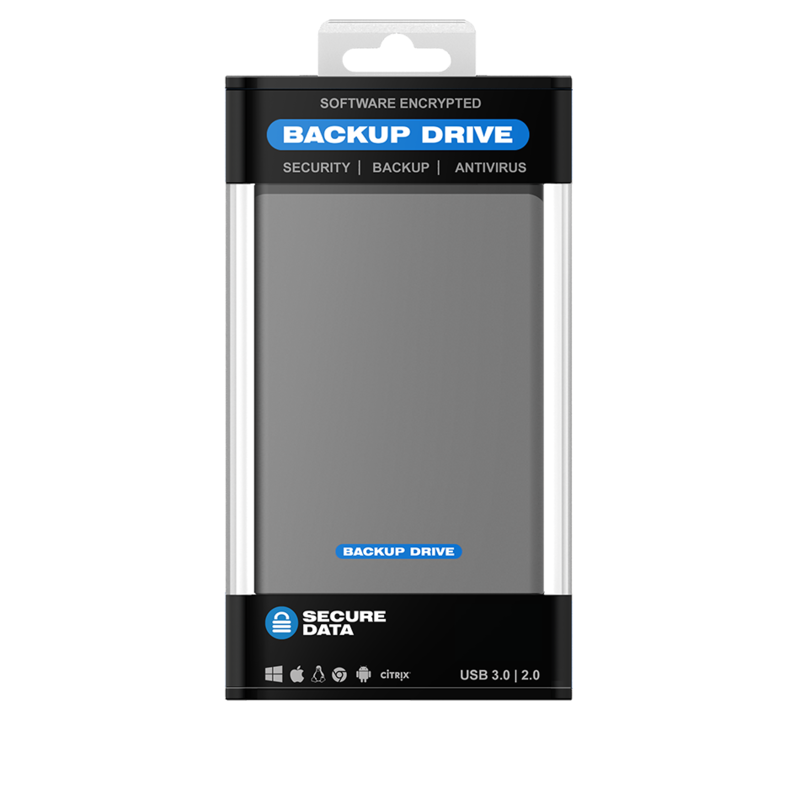 The SECUREDRIVE BT products are the only hardware encrypted drives on the market with completely SOFTWARE FREE remote management capabilities. 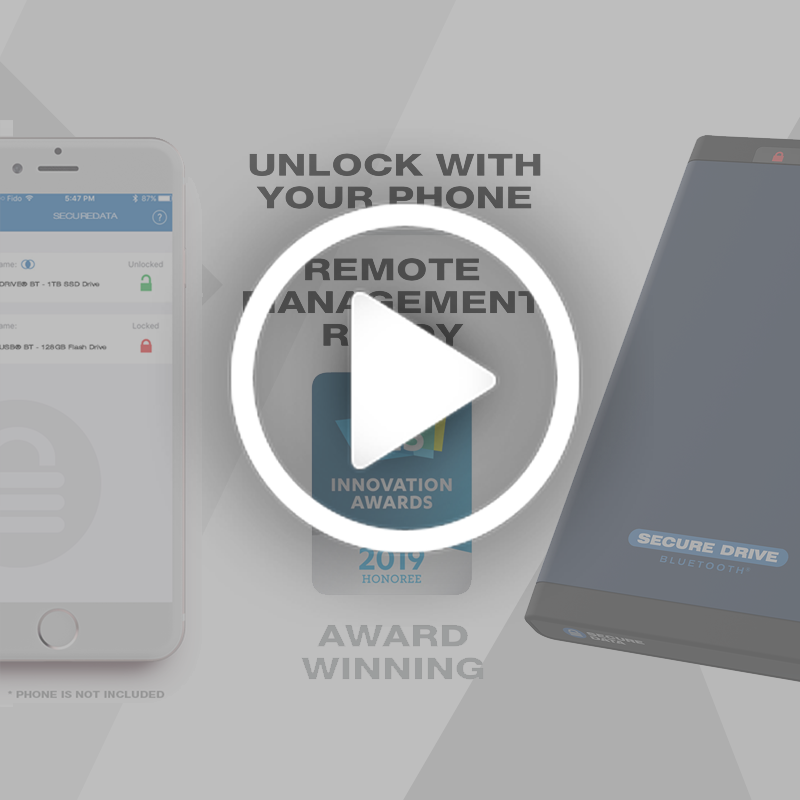 Unlike any other remote managed data storage device the remote management option can be added to the drive at any time after purchase (subscription fees apply). 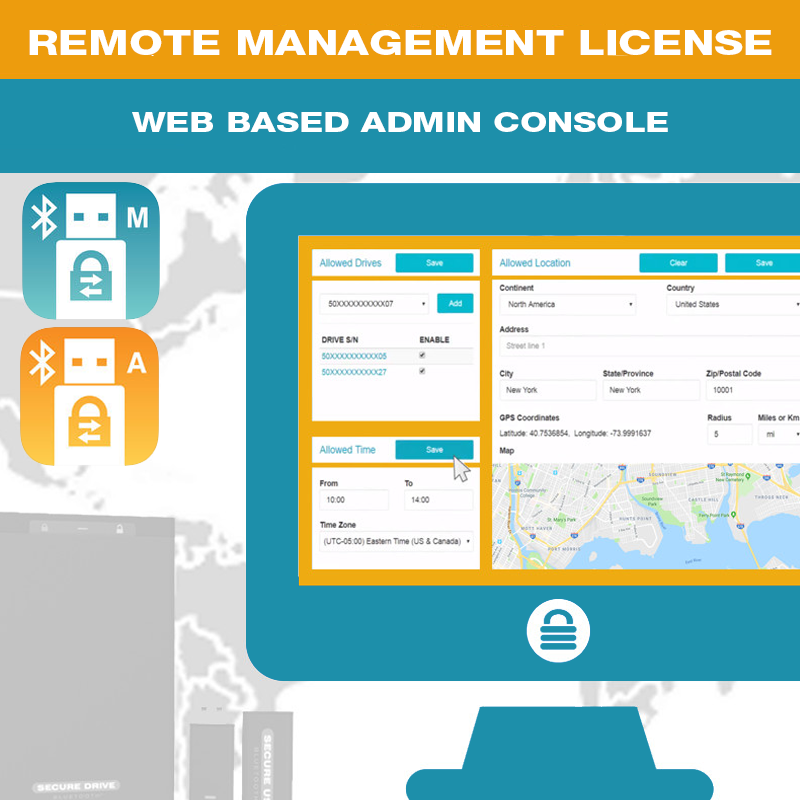 Using the Web Remote Management Console Admins manage user groups via Geo-fencing Restrictions and Time-fencing Restrictions, Enabling/Disabling login, resetting the drive, Admin unlock and resetting the Users pin. Full disk hardware encryption is just a start of keeping your data completely safe should it ever get into the wrong hands. While the hardware design is impenetrable we don’t stop there, all user data and crypto parameters are encrypted as well. 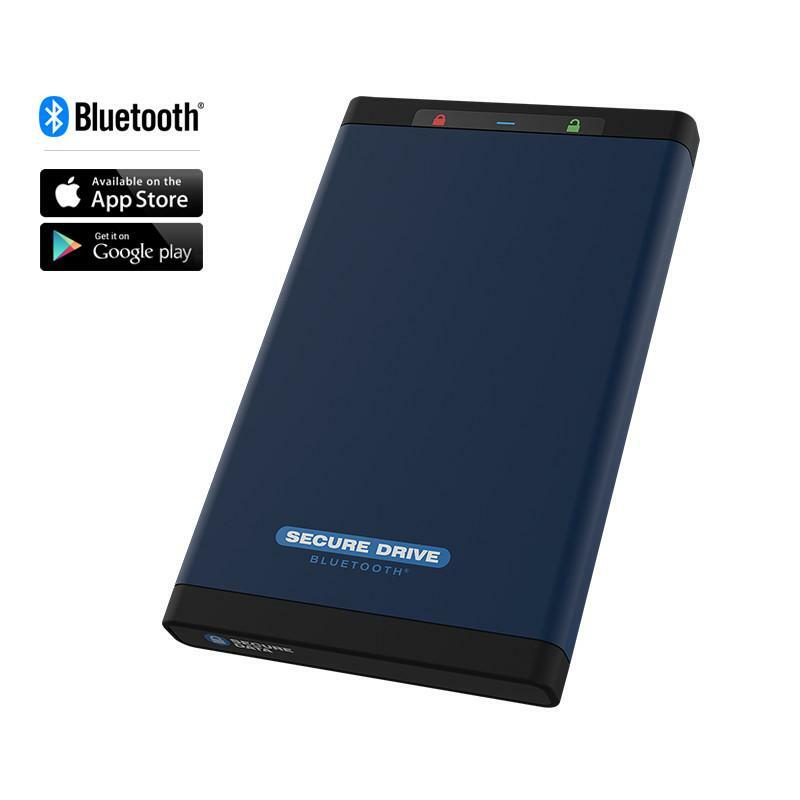 The SECUREDRIVE BT contain an independent processor, crypto processor as well as other security components to create a unique and patent pending design. Every vital piece of electronics is covered with a tough epoxy coating cementing the critical components in an indistinguishable solid crypt. While this epoxy is effectively impossible to remove without destroying the independent components, it does not however affect the functionality of each component nor reduce the overall performance, it simply makes the electronics impossible to separate and reverse engineer. The SecureDrive will work on any host operating system (Microsoft Windows, MacOS, iOS, Linux, Chrome, Thin Clients, Zero Clients, Android & Embedded Systems). This means this is the perfect backup solution for DVRs, Game Consoles, Laptops, PCs, Servers, Workstations and any other device with USB ports. There are no drivers or software to update, all encryption and authentication is performed directly on the drive. Keep your SECUREDRIVE virus free with a pre-loaded 1 year license for the USB Antivirus by ESET real-time Heuristic Scanning. Even if not connected to the internet the ESET engine will recognize malicious files based on a custom algorithm and deny saving them to the SECUREDRIVE. Unlike desktop antivirus software the USB Antivirus is designed for mobile devices and does not require any installation on the host. There is absolutely no communication between the host Operating System (Windows, Linux, MacOS or similar) and the drive until the User enters the correct PIN via DataLock® app. Only at this time will the USB controller be unlocked to initiate communication between the drive and host OS. Hardware encryption also eliminates loss in data read/write speeds unlike software based data encryption which can slow performance by 30% or more. Even if the hard drive is extracted from the enclosure starting at sector 0 all data is encrypted all the way to the last Logical Block, rest assured there is no way to decrypt the data without the 256-bit key. The data encryption process consists of 14 different rounds of encryption to make your original data unrecognizable to an unauthorized user. SECUREDRIVE encryption for data at rest is implemented using the XTS block cipher mode since it circumvents multiple weaknesses of the older AES modes, such as CBC and ECB. Entering an incorrect password ten consecutive times will trigger the brute force hacking detection which will crypto-erase the passwords, all User data and drive formatting. The drive will remain functional but will require reformatting and all data which resided on the device including any identifiable user parameters will be unrecoverable. IMPORTANT – If the drive is not added to the REMOTE MANAGEMENT console and the User PIN is forgotten there are no techniques to retrieve the key. There are absolutely no backdoors and all data will be erased if the brute force mechanism is triggered. Since the SECUREDRIVE is hardware encrypted the USB controller is locked until it correct user pin is entered. This unique design does not allow for any malicious firmware modifications/updates preventing the BadUSB exploit. Optional Read-Only mode prevents Writing, Deleting, Saving or editing any Files to the device until Read/Write is enabled. Saving a boot files and drivers required to load a PC, Laptop or Workstation on a SECUREDRIVE will keep your system image fully encrypted until you’re ready to load the machine. 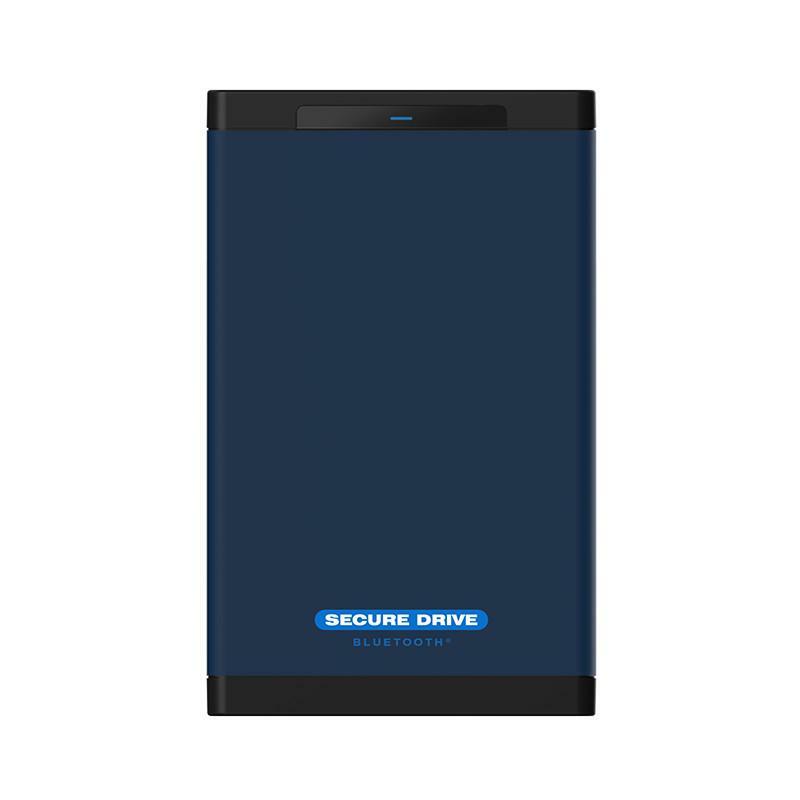 Upon successful User Authentication the SECUREDRIVE performs identical to a non-secure USB or Hard Drive. To protect against unauthorized access when the Drive is connected to a host computer and unattended, the Drive can be set to automatically lock after a pre-set amount of time of inactivity. The default state of the Inactivity Lock is OFF. This feature can be set to activate (lock) at predefined times between 1 and 60 minutes. 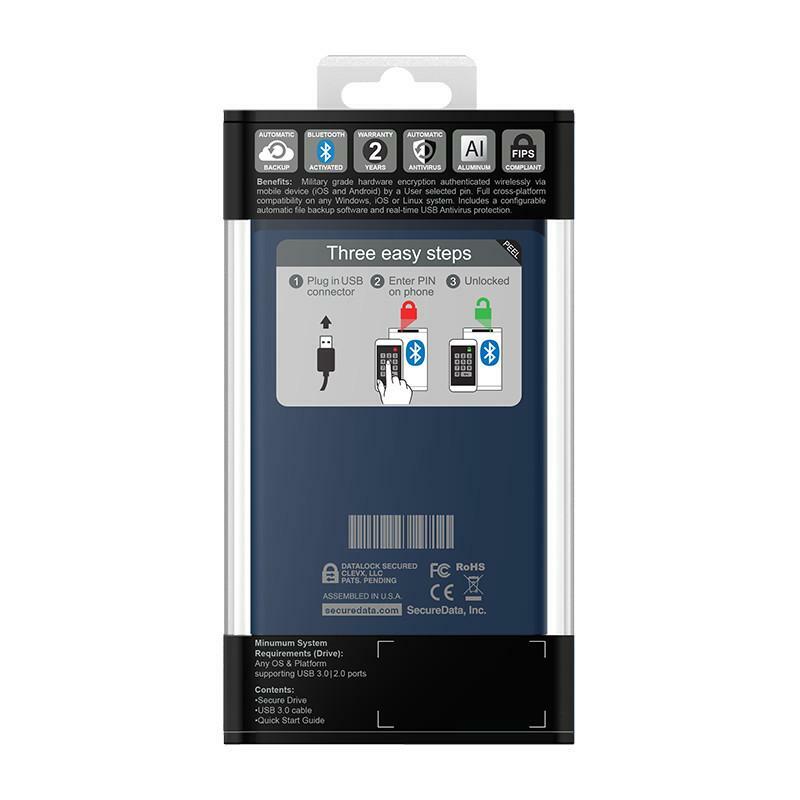 Below is the complete documentation of SecureDrive BT Encrypted Hard Drive. Does my data or encryption key get passed over Bluetooth signal? No. Bluetooth is simply the communication channel. The authentication is handled via secure server/app exchange. Your data or the encryption key cannot be extracted by any side channel attacks or Bluetooth listener. How do I unlock/lock the drive? You must download the DataLock® app from the app store. After installing it you will be able to pair the device (make sure your Bluetooth is turned ON). Once synced, you can use the App to login. Once you have successfully logged in you will be able to change user settings and swipe LEFT on the device name to lock it. Once the device is locked you must re-login in order to mount the drive. The DataLock® and DataLock®+ are available to download via the Apple Store or Google Play. Type in “DataLock” in the search to find and install the app on any mobile device. Can I use my FaceID or TouchID to unlock my device? Yes, using the DataLock® app you can select to authenticate via Touch ID or Face ID (Apple only). If I forget my password, does anyone have a copy or can I reset it? NO! There are absolutely no back-doors or resets. After 10 consecutive incorrect attempts the anti-hacking brute force self-defense mechanism will engage wiping all user data and drive attributes. If I reset my drive can I still use it or is it destroyed? The drive will revert to factory settings, unformatted, default drive name and all user data will be gone. The drive requires formatting for continued use. If I reset my drive can SecureData get my files back? NO! Resetting the drive will activate a crypto erase command which will delete then regenerate the encryption key. Once the key is gone there is absolutely no way to get it back. Even though there will be encrypted data on the drive, there is no viable way to decrypt it. If I lost my drive, can I reset it remotely to delete my data? Yes! If the drive is added to the subscription based Remote Management console even if you lose the drive you can wipe the data on it remotely. Can I add remote management later? Yes, this is the uniqueness of our SECUREDRIVE BT product line. You can switch from DataLock® (non-remote managed) to DataLock® + (remote managed) status without installing any software, the device will just need to be provisioned using the DataLock® Admin app. Do I need Internet or Cell signal to use the BT Drive app? While using the DataLock® app you do NOT need to be connected to the Internet or WIFI in order to unlock the drive. 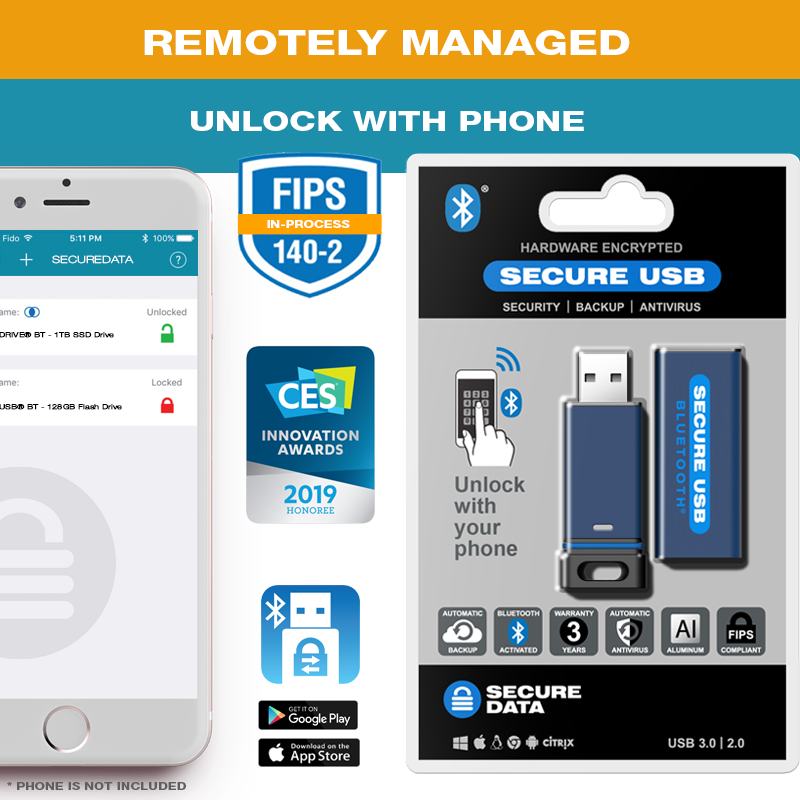 Alternatively, if your device is remote managed you must unlock it via DataLock®+ app which will require Internet or Cell service turned ON. However, the admin can enable the offline mode in the DataLock®+ app which will not require any Internet or Cell Signal. What smartphones, smartwatches or wearables does it work with? 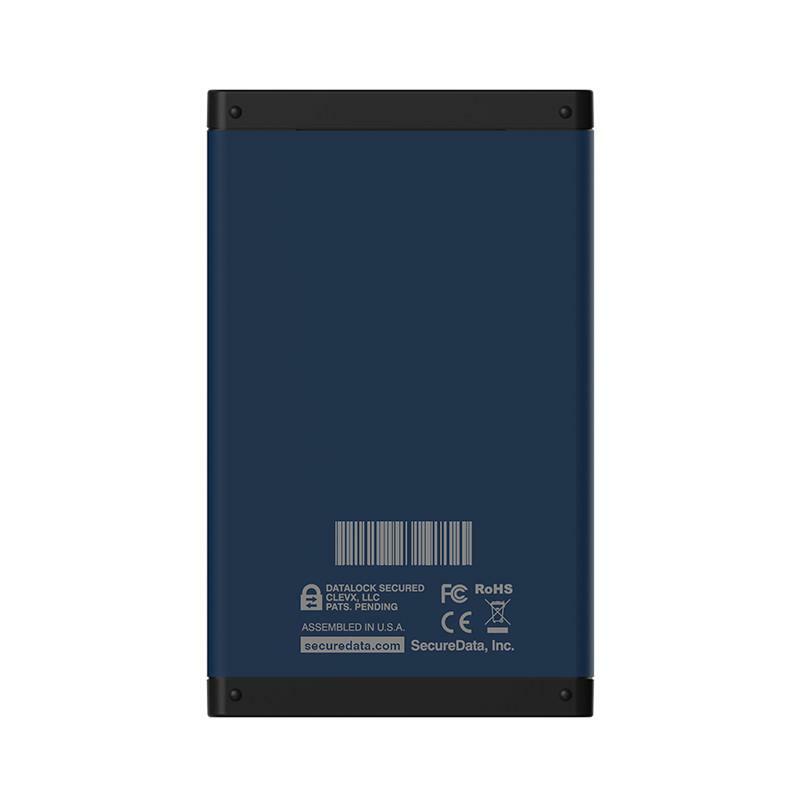 The SECUREDRIVE BT will work with any modern mobile device. Here are a few product lines it is tested with. 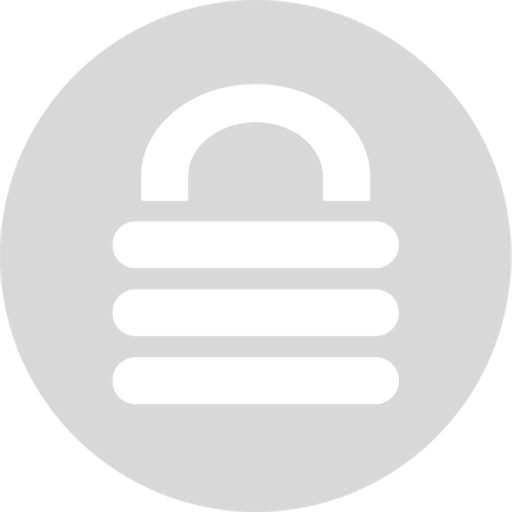 Most Android phones running version 4.4 or above will work with DataLock® app.